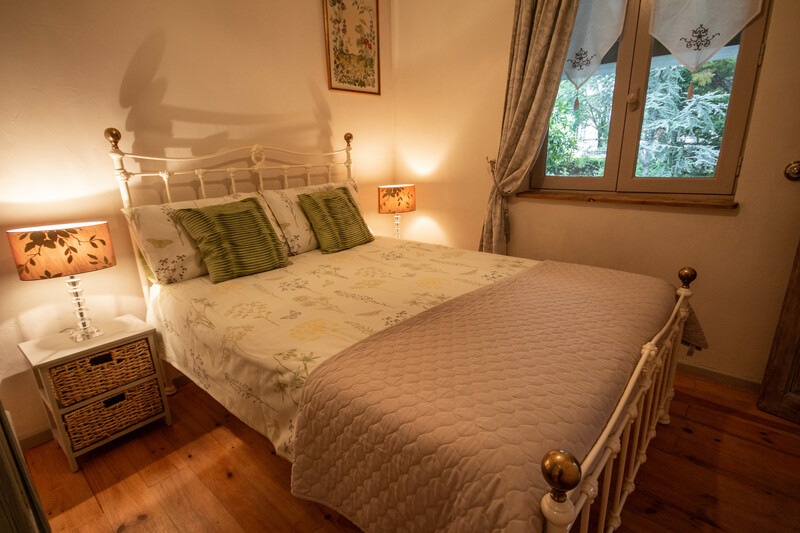 A charming and cosy room with double bed (1.40m x 2.00m) that overlooks the Mediterranean garden to the front of the house and is decorated in soft rose tones. Suitable for either a single traveller or couples looking or a more budget option, whilst still enjoying all the other facilities here. 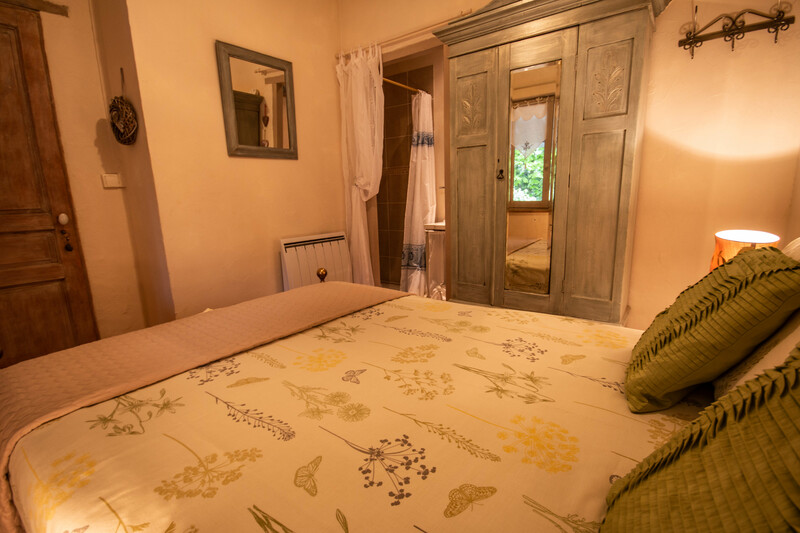 This room has a small en-suite with a rain-head shower, vanity unit with hand-basin and a toilet, plus the room has the all important wifi!